Fully revised for first examination in 2021, these resources engage your critical thinkers with an emphasis on 21st century skills and international mindedness. 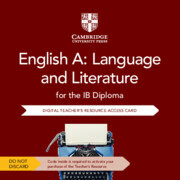 The activity-based coursebook and digital Cambridge Elevate edition introduce students to a broad range of language source texts such as graphic novels, movie stills and curated video and audio sources. 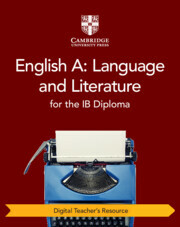 These include samples of Paper 1, Paper 2, the individual oral and the higher level essay. 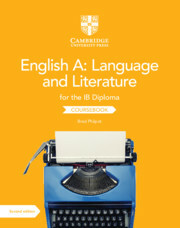 The digital Cambridge Elevate teacher’s resource provides clear explanation and guidance around the IB syllabus and assessment programme, as well as time-saving support, including schemes of work, PowerPoint presentations, photocopiable worksheets and teacher development essays. 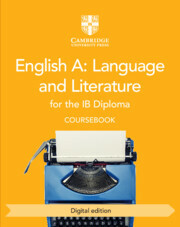 The exam preparation and practice guide includes an introduction to assessment, plus four full tests with graded sample oral (includes audio) and written responses with examiner comments, delivered through an assessment for learning approach.